The water treatment business has mostly depended on reverse osmosis/membrane (filter) technology that wastes water, has both high operating costs (water consumption and energy) and maintenance costs (maintaining and replacing filters). In addition, the water quality of membrane/filter technology is dependent on the least effective filter. Any filter in a reverse osmosis system that becomes ineffective will result in contaminants remaining in the water and clean water will no longer be produced. Water Output (GPD): TDSSg Base Model produces 500 gallons per day (GPD). The TDSSe Base Model produces 300 GPD. Both systems are scalable and can be customized to meet a client’s required output (GPD) of germ-free, clean water and/or fluids. 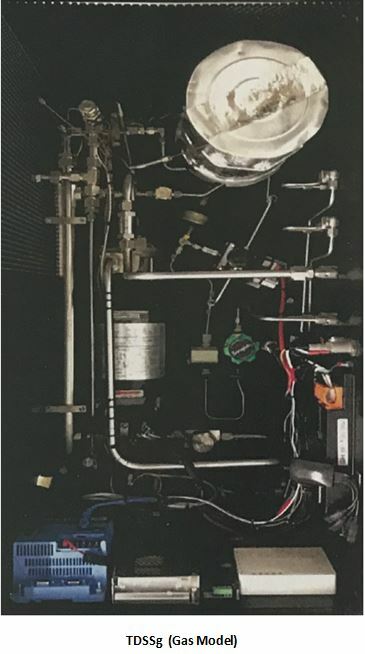 Power Source: TDSSg uses propane (or other hydrocarbon fuel) as the heating source and a 1/2 horse power pump (with 350 feet of head pressure) to produce the required internal pressure for a sterilization system delivering up to 500 GPD. That’s about 15 Watts max electrical power consumption. TDSSe total power draw is 2000 watts (110/220 VAC-27 amps max) – with a circulation heater. Water Source: Any recycled or fresh water source including wells, aquifers, streams, rivers, lakes, sewage or any other fresh water delivery source, no matter the level of biological contaminants or VOCs. Length from Source: Within 100 feet or 30 meters (pumping straight up) or longer depending on the slope of the inlet water from the source to the unit. TDSSe and TDSSg operate with minimal maintenance as there are no filters or moving parts. Operating performance can be monitored remotely using an app, smart phones or nearby station or, if multiple systems are operating in a larger region, they could be monitored via the internet by vehicle or plane. Pressure – more than the saturated water table values for the fixed temperature employed. Water and other Fluids sterilization levels are achieved by varying pressure, temperature and dwell time using a proprietary control technology. Under these conditions and adding nothing to the water or other fluids, all microorganism/biological contaminants are eliminated. 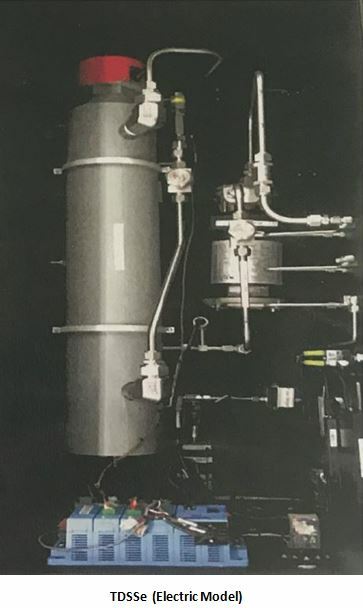 In addition, only our technology/systems offer continuous flow with the ability to vary pressure, temperature and dwell time during operations (real time), while achieving the high level of sterilization assurance and validation of 10-6, which exceeds established WHO, EPA and state standards. Our revolutionary systems significantly outperform current market water treatment systems, including reverse osmosis, ozone and UV lighting, because our systems utilize thermal disinfection, a process that is far more effective in eliminating all microorganism/biological contaminants (fungi,bacteria,viruses, spore forms, prions, etc.). NOTE: The sterilization assurance level (SAL) and validation of 10-6 achieved by the Company’s systems for water sterilization greatly exceeds established WHO, EPA and state standards for germ-free, clean water for the general public. Currently there are disease outbreak occurrences (Flint, Michigan) in populations served by Public Water Systems where EPA and state standards are not met. Even if EPA and state standards are met, not everyone is protected. Studies have found that some biological contaminants in even low concentrations pose health risks to infants, young children and the elderly. Others at risk are individuals with compromised immune systems due to certain illnesses, or those who are undergoing chemotherapy. 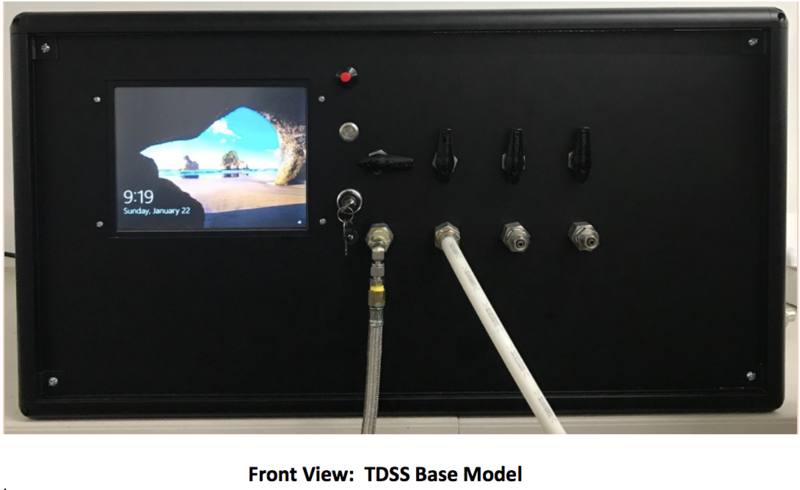 Enhanced germ-free, clean water standards, like the TDSS technology system produces, will protect all individuals from possible effects from any microbial pathogens or volatile organic compounds (VOCs). For testing and validation of the TDSS technology system, go to the “Systems Testing” webpage. The TDSS technology system produces germ-free, clean water and/or fluids at a competitive cost for multiple markets. The company will continue to develop new technologies, adding to its portfolio of patented intellectual property. TDSS and future company technologies can be licensed, partnered and/or purchased for use by industry, municipalities, governments or other global applications. Other who partner or license our patented technology will be able to improve their product line, brand and financial performance, while also potentially reducing ecological and environmental impacts. Pontic Technology offers a number of licensing and operating options for its TDSS technology including joint operating, strategic alliance or technology licensing. Interested in the TDSS technology and its germ-free, clean water and fluid solutions? Contact us! Interested in our TDSS technology?